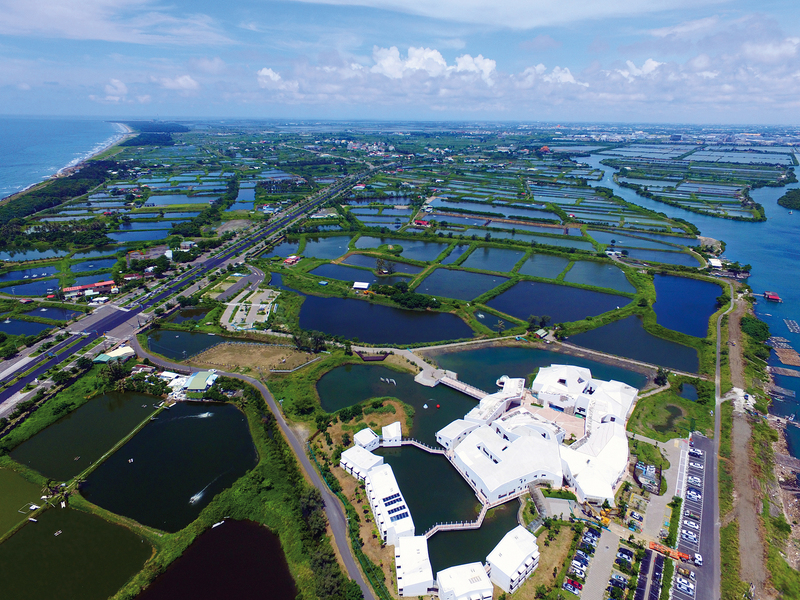 Just one-tenth of the area used for aquaculture in the Qigu District of Tainan would be enough to meet the needs of the black-faced spoonbill and its companion birds when they are wintering in Taiwan. From April to October, fish farmers traditionally raised milkfish in shallow ponds at low densities and with minimal inputs. 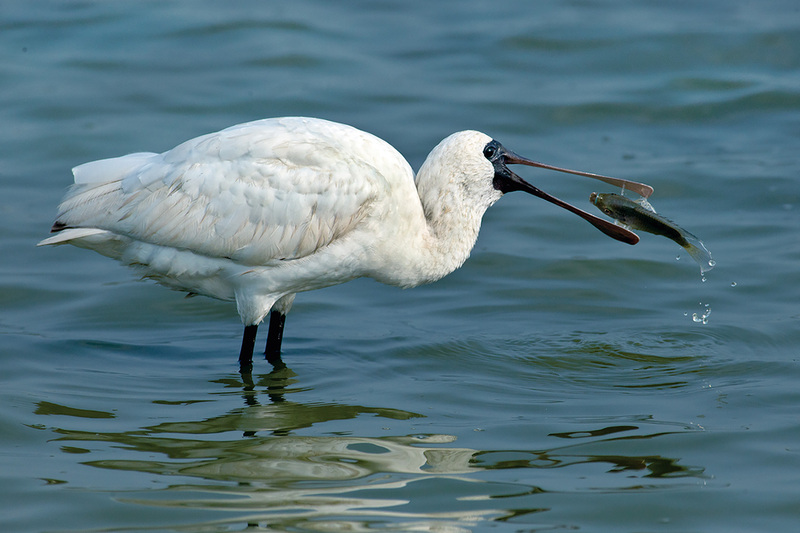 Then, from October to April, it was the season when the black-faced spoonbill overwinters in Taiwan. After the milkfish were harvested, the water levels in the ponds were lowered, and the birds were able to feed on the assorted small fish and crustaceans that remained in the bottoms of the ponds. 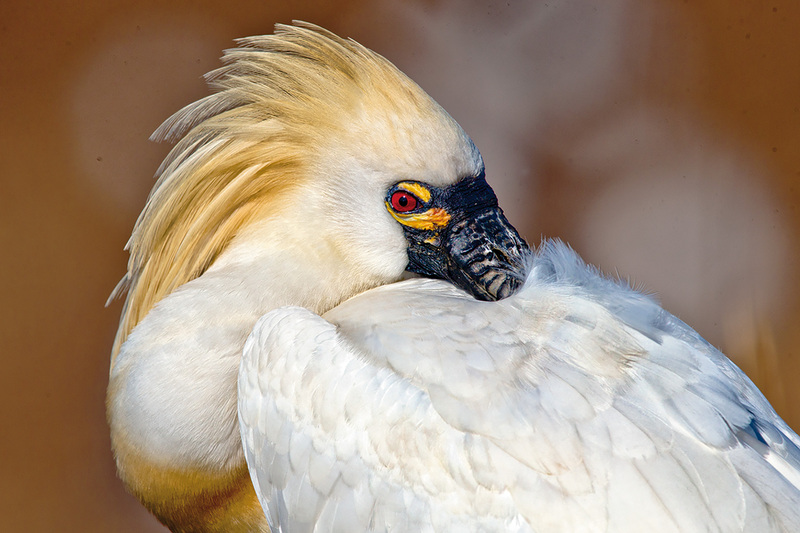 This black-faced spoonbill seems to be bashfully shielding its face from the camera with its white feathers. 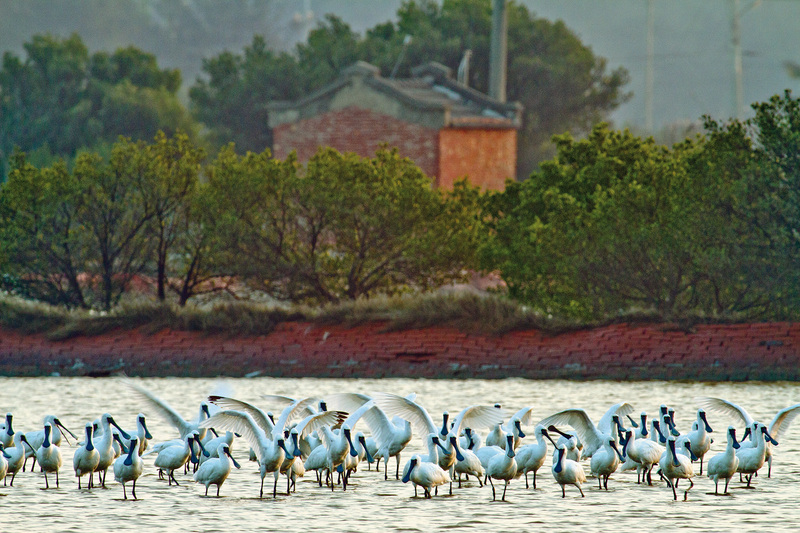 A perfect combination of local landscape and black-faced spoonbills, spotted in Tainan’s Tucheng area. 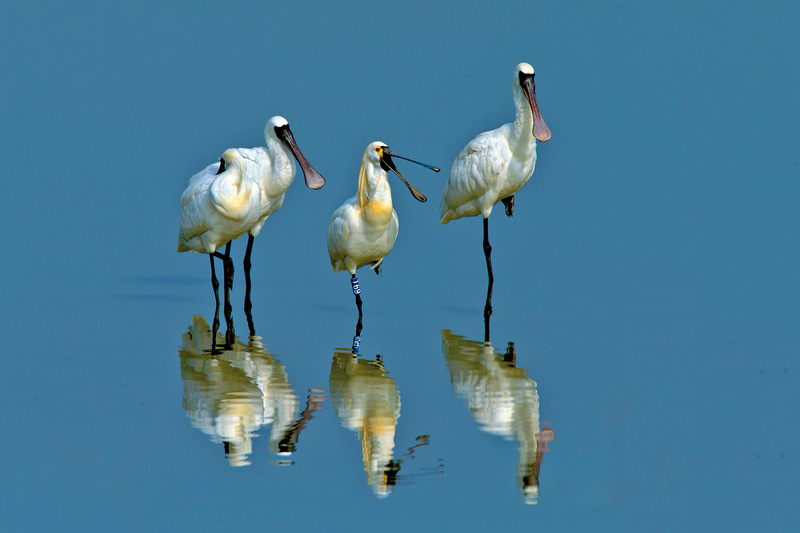 During the black-faced spoonbill’s reproductive season, the adult birds grow yellow breeding plumage on their heads and breasts. 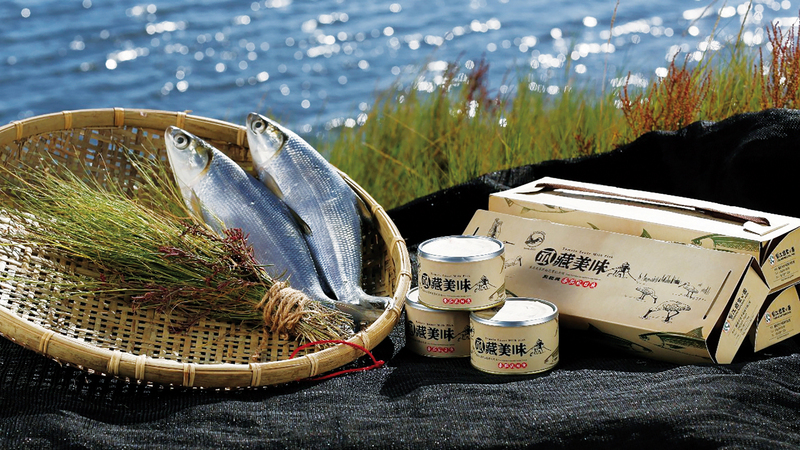 By using the “HappyMilkfish” mark, which certifies that the fish were raised in spoonbill-friendly ponds, producers can build brand value. 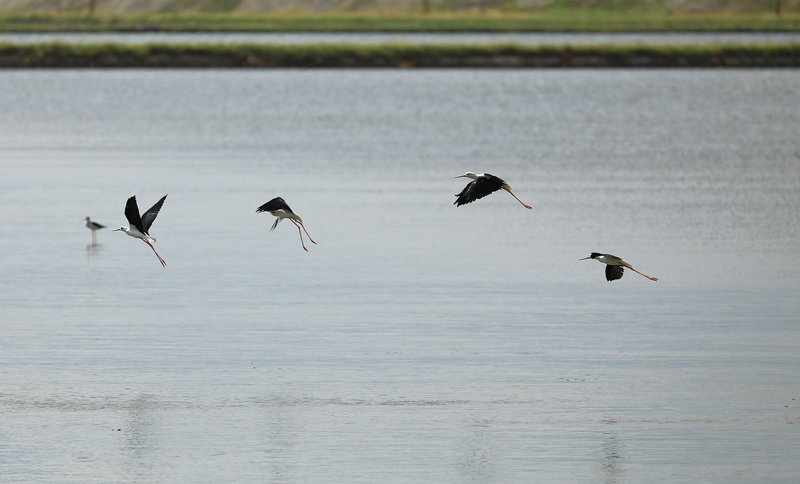 A black-and-white mixed-breed black-faced spoonbill (center), photographed in Kaohsiung’s Qieding District. 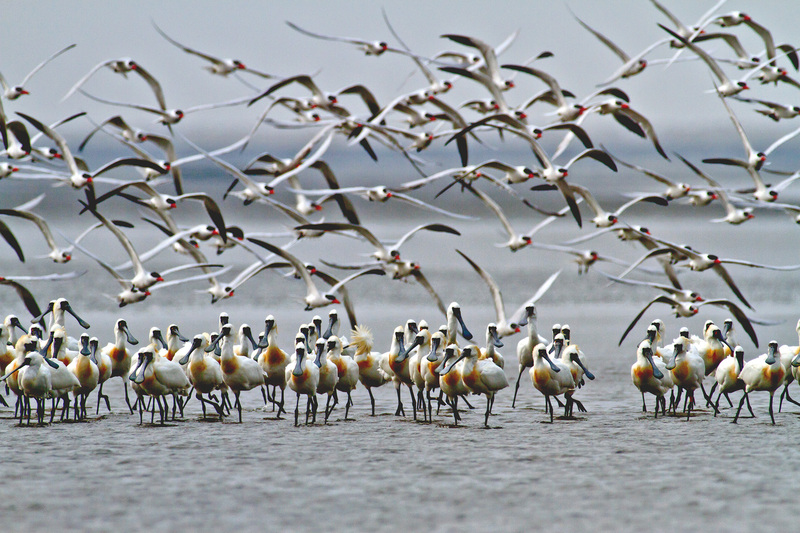 The band on the bird’s leg helps researchers track its movements and understand its way of life. 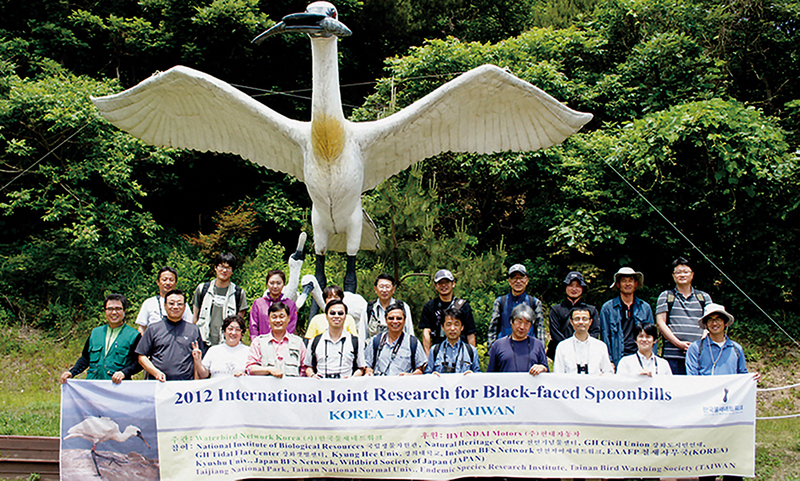 A spoonbill conservation team from Taiwan has gone to Korea three years running for collaboration and exchange in the areas of academic research and habitat management.